Getting a business loan may be necessary if you need capital in the short term, you want to consolidate existing debt, or you’re planning a major purchase. Like any other loan, however, you have to pay it back. But what happens if you get a business loan and you find that you can’t pay? That situation could lead to default. Defaulting on a business loan isn’t necessarily the end of the world, but it can have some serious consequences for you and your business. Here’s what you need to know. Generally, you default on a business loan when you miss your payments for a set period. The lender sets the time frame. For instance, some business lenders may assign your account default status after one missed payment while others may wait until you’re 90 to 120 days past due. Default is different from being delinquent. Delinquency status means you’re late on the loan but the lender hasn’t initiated any collection actions against you yet. In other words, they’re still giving you time to catch up on the payments although they may be tacking on late fees and penalties to the loan balance in the meantime. When you default, you’re essentially failing to meet the terms of your loan agreement. At this point, the lender may take firmer measures to get you to pay. 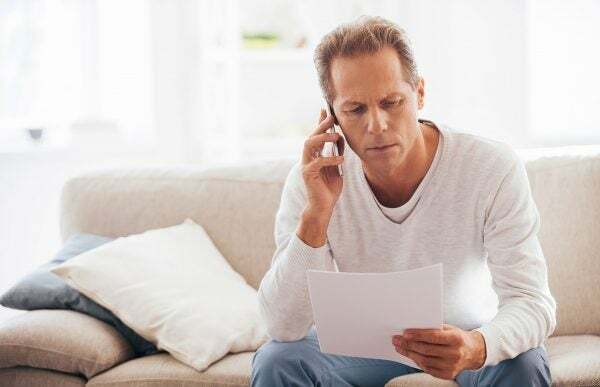 Every lender is different, but after defaulting on a loan, you can expect to receive phone calls or letters notifying you that you’re in default and requesting payment. The lender may handle these communications or it may assign your account to a collection agency. What happens next depends on whether you took out a secured or unsecured business loan. With a secured loan, the lender may seize the collateral you put up to satisfy the debt. If there’s no collateral, the lender may sue you. If they win a judgment, they can move to garnish your business assets. Your personal assets could also be garnished if you signed a personal guarantee for the loan. If the lender doesn’t think they’re going to get paid, they may sell the account to a collection agency and charge your account off their books. Now you owe money to the collection agency, not the lender. The debt collector can also sue you to try and collect on the loan. Defaulting on a business loan can impact you in more ways than one. First, you could lose any collateral you pledged to secure the loan. That loss could be costly if the collateral was a high-value piece of equipment or real estate. If you secured the loan using cash assets, default could easily deplete your financial reserves. Second, having legal action taken against you can inflate financial losses if you’re expected to pay court costs and attorneys’ fees for the lender or debt collector who’s suing you. Not to mention that having to deal with a court case can be stressful and time-consuming, potentially disrupting your ability to run your business. Third, and perhaps most importantly, defaulting on a business loan can be damaging to your credit. Both business and personal credit scoring models incorporate your payment history into score calculations. Even one late payment can significantly detract from your score. The effects can be compounded when you have multiple late payments, the loan is charged-off, or you have a public record stemming from a judgment. Whether your business credit score or your personal credit score is affected depends on how you acquired the loan. If the loan is in your business’s name, then only your business credit report and scores may be impacted. But if you assumed personal liability for the loan, either by using your Social Security number to apply or signing a personal guarantee, the default will show up on your personal credit history. Negative marks can remain on your credit reports for up to 7 years. When default lowers your business and/or personal credit scores, it can become more difficult to get approved for new loans, credit cards, lines of credit, or vendor trade lines, all of which could impact your ability to do business. And if you are approved, you may pay much higher interest rates as a consequence of having a lower credit score. If you think you may be at risk of defaulting on a business loan, reach out to your lender. They may be able to offer help in restructuring the loan payments or allow you to pause your payments temporarily. Alternatively, you may consider refinancing the loan to make payments more manageable. Acting quickly can help lower the odds of ending up in default. If you’re worried about the negative items on your credit report, contact Lexington Law. We work with you to help identify and remove what’s bringing your credit score down. This entry was posted in Loans and tagged loan. Bookmark the permalink.